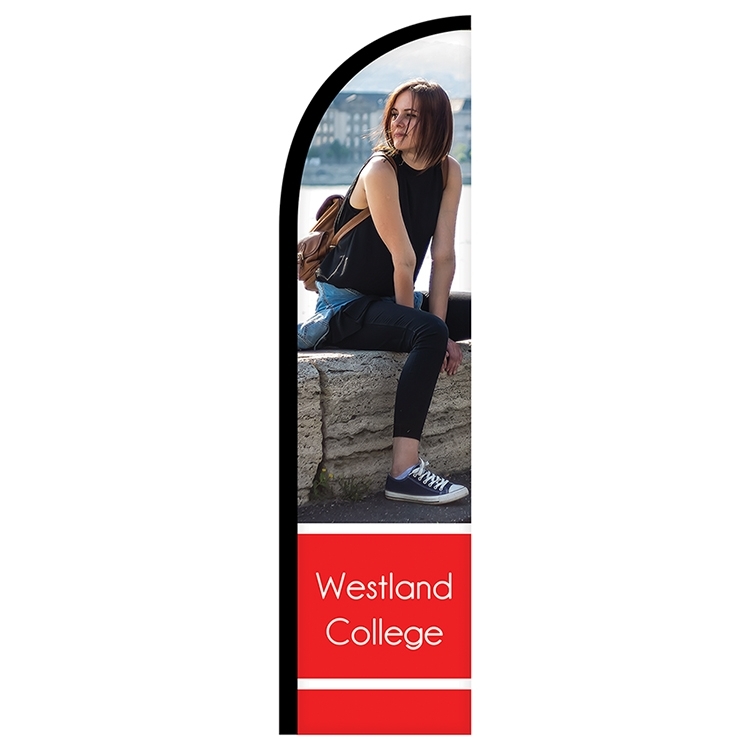 Our Half Drop Banners are digitally printed and extremely popular because of the exposure and portability they provide. Printed on durable outdoor knitted polyester the amount of colors or complexity of your design or artwork does not affect the price. The necessary hardware kit is sold separately and includes a sectional aluminum and fiberglass pole, carrying case and ground spike. 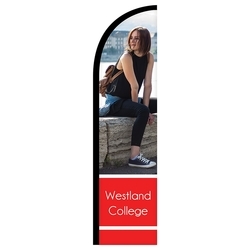 We also offer an optional cross base for added support which is great for hard surface or indoor display. Rush services available. Additional charges will apply and will be based on quantity and requested delivery date. 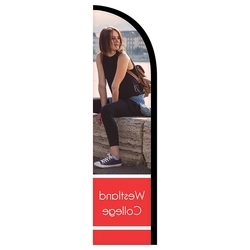 Also called portable half drop banners, feather flags, feather banners, blade banners, beach banners, advertising banners, tear drop flags, teardrop flags, flying flags, bowed flags, bow flags, sail flags, paddle flags, in-ground banners, in-ground flags,advertising outdoor flag, flags, banners,beach flags,half drop flag, outdoor flags, outdoor printed flags, portable banner, portable half drop banner, portable half drop banner, digital flags, digital banners, custom banners, and exhibit banners, tail-feather and street-talker flags. Imprint Area: 19.75" x 92"